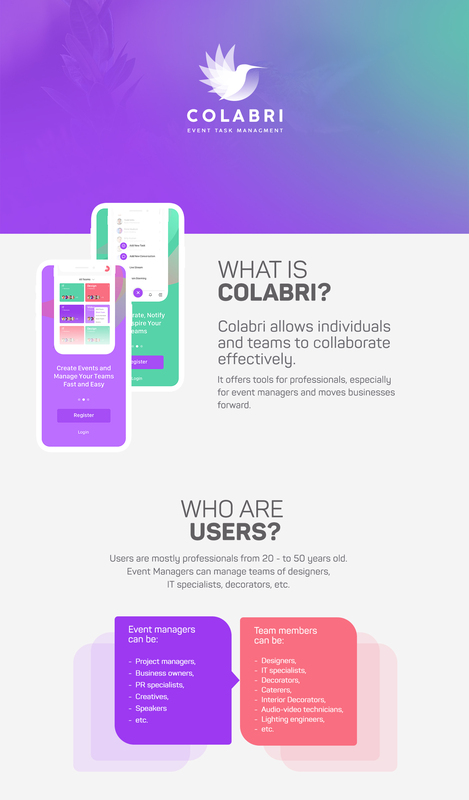 Colabri is an innovative startup. 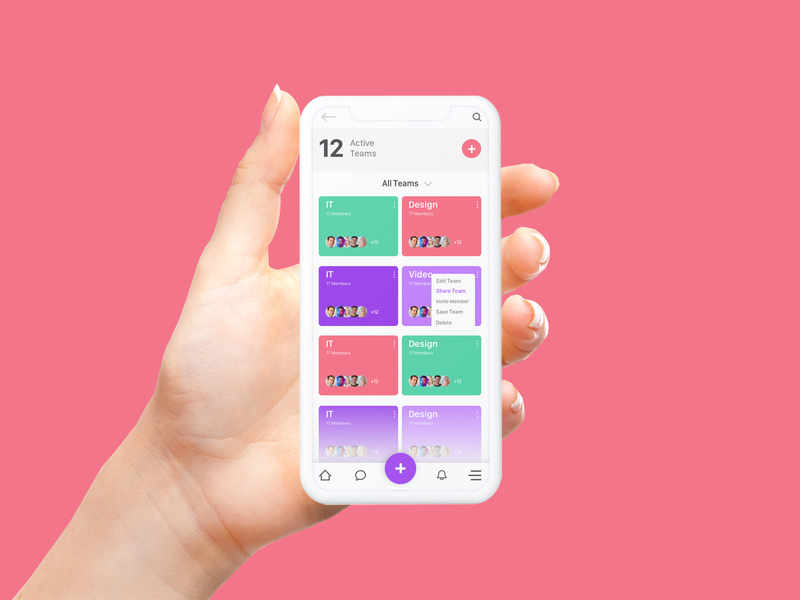 The app allows individuals and teams to collaborate effectively. 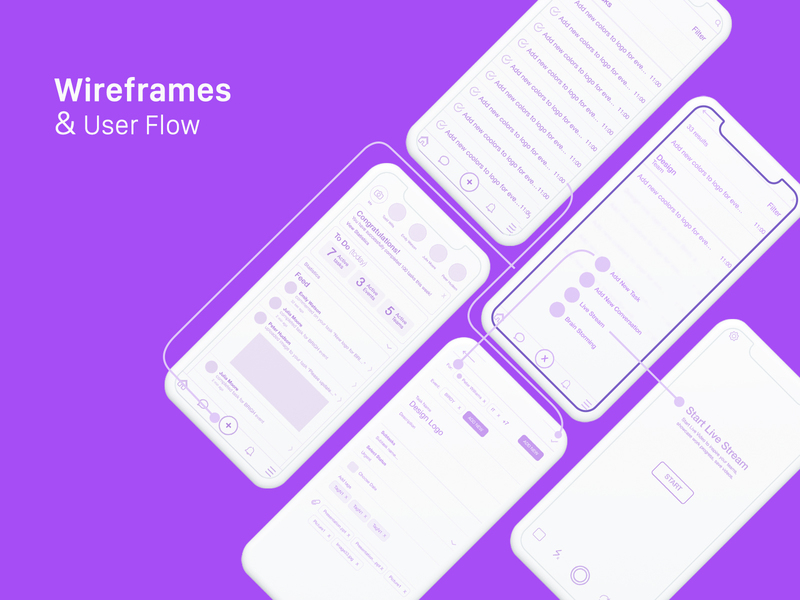 It offers tools for professionals, especially for event managers, and moves businesses forward. 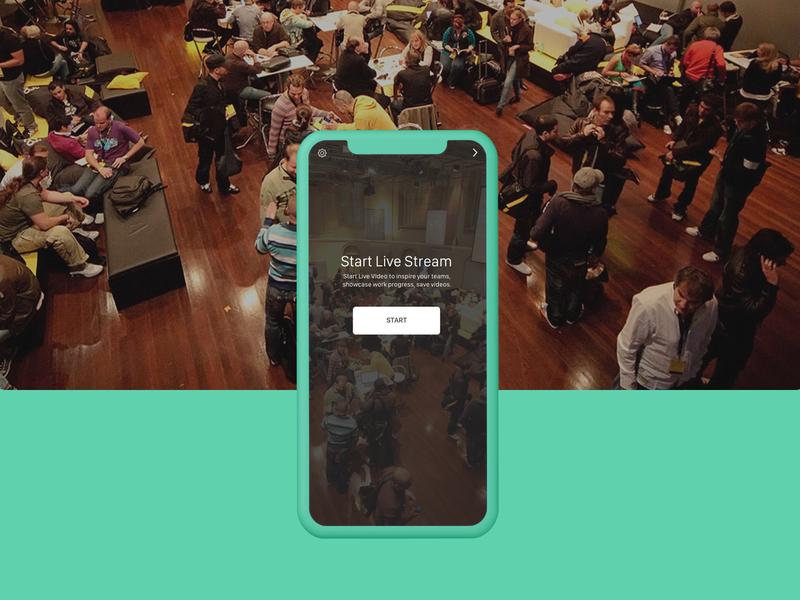 Together with the team, I came up with new futures such as “LiveStreem”, “Brain Storming” and a new brand name “Colabri” that represents the merge or two words “Collaborate” and “Colibri”. Colibri is a symbol of speed, simplicity, and efficiency.